If your child is going to be absent from school we would ask that you phone or text the school office before 8.45am each day to let us know. Unexplained absences will be followed up by a phone call following the roll call at 9am. Your co-operation in this matter will ensure the safety of all our children. The school gathers fortnightly on Fridays at 2.25pm to share news and information and celebrate areas of achievement. Parents and whanau are welcome to attend. Woodlands School reports the progress and achievement of all its students in a variety of ways. Other formal meetings may be arranged with your child's teacher. Students arriving after 9am must report to the office before going to class. Should it be necessary for your child to leave the school during the day, you must sign them out at the office. Children are allowed a maximum of three books out at a time. If books are not returned in a reasonable timeframe and are not able to be located we will invoice parents for the books replacement cost. Once a month senior students also have access to the local Book Bus. Please ensure that all clothing is clearly marked with your child’s name. Any items of clothing that are not labeled are put into the Lost Property Box, which is located in the school hall and may be checked for missing articles at any time. Items of value should not be brought to school. The school accepts all care but no responsibility for lost property. 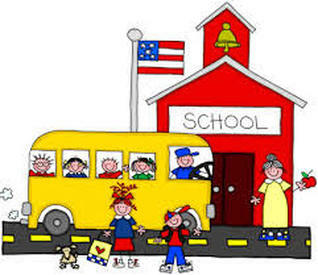 Before school and after school policy: Children should not be onsite until 8:30am and offsite by no later than 3:15pm.